This backstand was a cheapie bough on eBay from the US for about $12.00 USD. 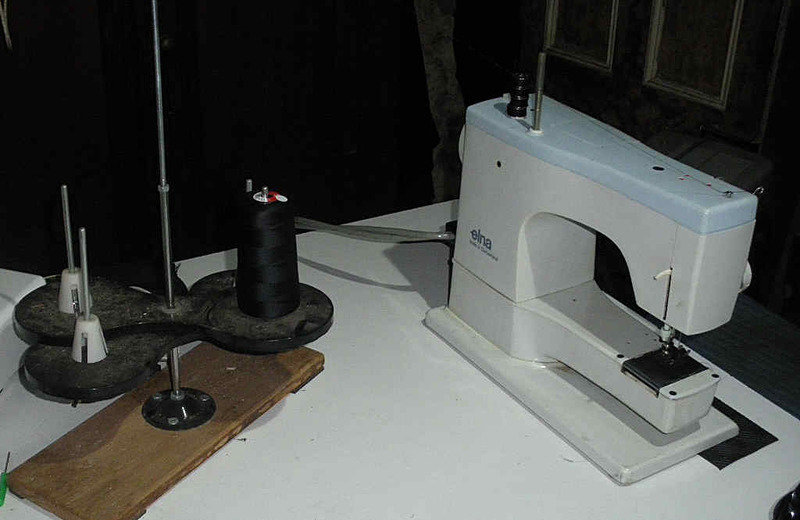 It needs to be mounted on a base, in this case a piece of flat hardwood, but it puts industrial thread within the range of folks who use semi industrial sewing machines. This version will take 4 different cones, handy if you need to keep a range of colours available. 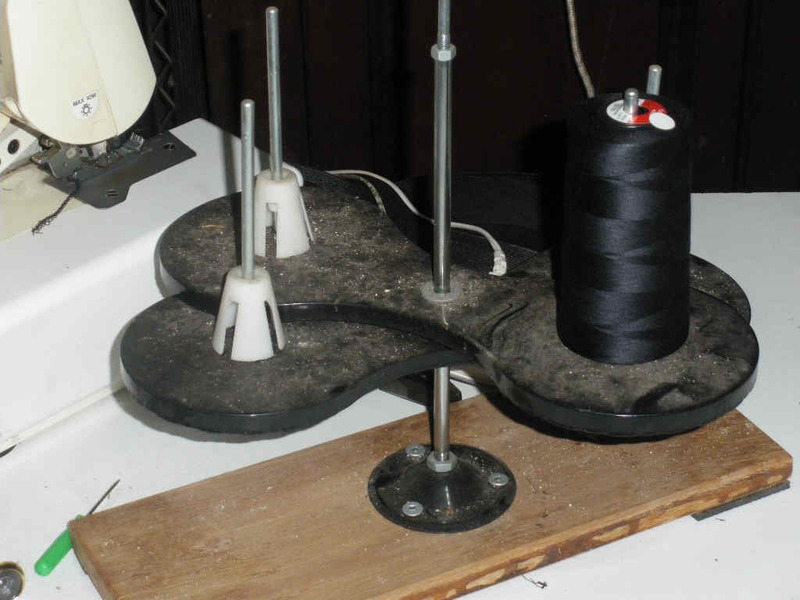 The thread guide is on a telescopic arm that can be raised high enough to pass the thread down to a sewing machine. This is how I use it with one of my old Elnas. 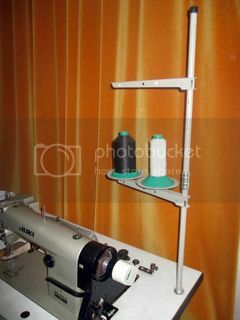 Re: Backstand for using professional thread that comes in cones. I'd like something like that, but with maybe a clamp at the base for clamping to the edge of a table so I can move it about and not worry about it being knocked off. I suppose the cones add a bit of weight though? You can open the curtain during the day time and have good light? Luckily it's an south east-facing window and in the morning I get great light until well into the afternoon.